Rob Westcott is an award-winning professional comedy magician who has performed thousands of shows for children and adults at parties, schools, libraries, festivals, military and corporate events. The magic is fun, fast-paced and amazing. 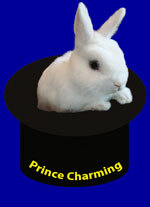 Rob often performs as a classic magician in top hat and cape and with Prince Charming � the world�s cutest live bunny. Rob performs large illusions on stage, parlor magic for groups, and strolling magic for individuals and couples. Unlike many entertainers, Rob is licensed, insured and guarantees satisfaction. Rob is a James Scholar with a Bachelor�s Degree in Accounting from the University of Illinois. 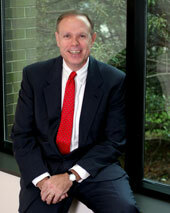 He is a CPA and also earned a Juris Doctorate Degree in Law from Washington University in St. Louis. Rob has enjoyed a long successful career in managed health care. Rob left his position as Vice-President at a Fortune 500 company to found a successful managed care technology company in 2008 and continues to serve as its president. Rob is a member in good standing with the Society of American Magicians and Mensa. Rob is happily married to Patty Westcott and a proud parent of twins Grace and Jack who are students at William & Mary and George Mason University.